Despite what all the transplant hipsters in Manhattan and Brooklyn want you to think, no one knows everything about New York City. It’d be impossible. If the city never sleeps but you do, you’re going to miss something. All you can do to make up for it is look up trivia on the internet and try to remember. Here are eight things you never knew about New York City. Under the Waldorf-Astoria, Track 61 is a platform for private rail cars with a special elevator that would take guests to their rooms and was used by the likes of General Pershing, F.D.R. and Illinois governor Adlai Stevenson. There’s an abandoned station below City Hall that you can see if you get sneaky when the downtown 6 switches over to the uptown tracks (or you can take a tour with the New York Transit Museum). 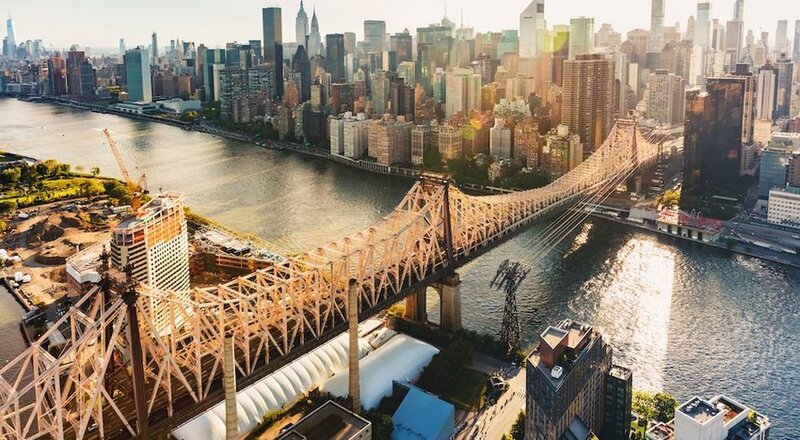 Williamsburg and Manhattan were supposed to be linked by two tunnels and four tracks until World War II got in the way of construction and things never restarted. There are tons of others everywhere you look, so keep your eyes open next time you’re on the train. 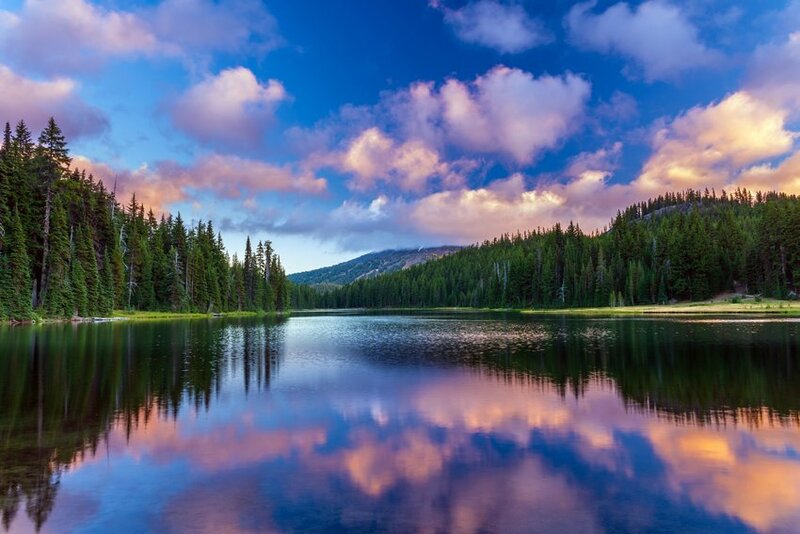 “Eminent domain” refers to the clause in the Bill of Rights that allows the government to seize private property on the condition that just compensation is given to the property’s current owner. As you can imagine, it’s caused some epic legal fights. One such fight began in 1910 between David Hess and the city of New York over the Voorhis, Hess’s apartment building. The building, along with hundreds of others, had been condemned and was to be demolished to make room for widening streets and new subway lines. Hess fought tooth and nail for years, but, in 1914, was eventually left with only 500 square inches of triangular concrete on the sidewalk. 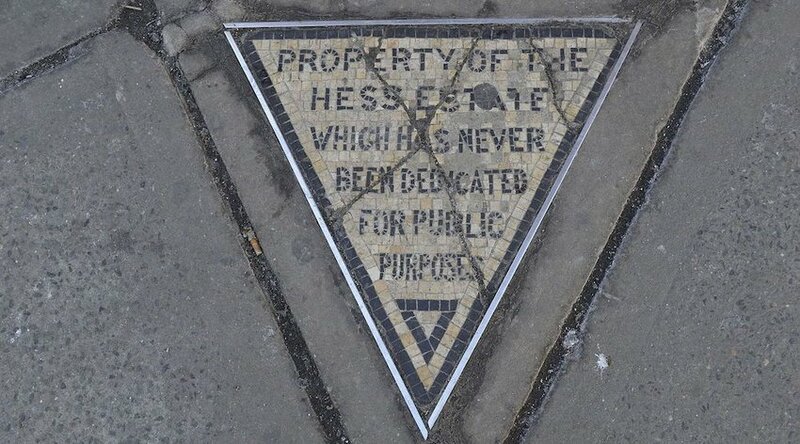 When he was asked to donate the triangle to the city, he spitefully refused the offer, instead turning it into a mosaic that reads “Property of the Hess Estate Which Has Never Been Dedicated For Public Purposes.” For 105 years, the Hess Triangle has sat on the corner of Christopher and 7th Avenue, reminding people that the demonstration of public displeasure can take many forms. And not to let the government walk all over you, even if that means getting majorly spiteful about things. There have been times in history that the Irish population of New York City was higher than the Irish population of Dublin, a fact that’s indicative of just how much of an influence Irish immigration has had on New York. And since much of that immigration was a direct result of the Famine, it follows that New York’s memorial to the victims would be heartfelt, if a little bit of a hidden gem. 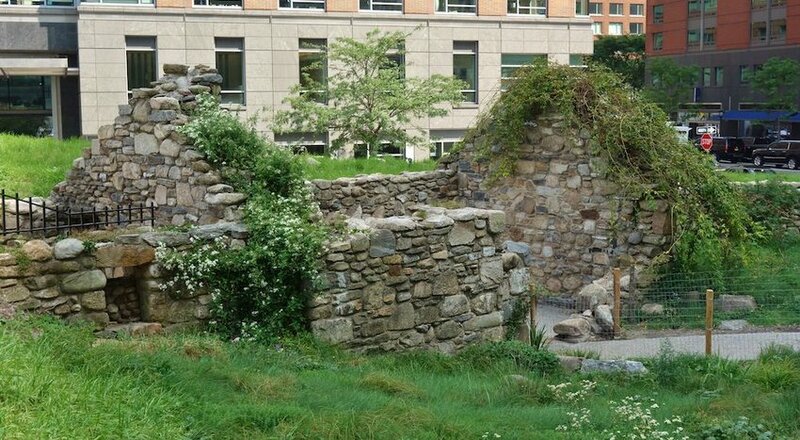 The Irish Great Hunger Memorial is just north of Battery Park and is a piece of rural Irish life dropped onto Manhattan Island. The memorial has an engraved stone from each of Ireland’s 32 counties, part of a gift from Irish President Mary McAleese, and evokes images of a Connacht wetland, an area particularly affected by the Famine. The stone cottage in the memorial was originally built in the 1820s and stood on the west coast of Ireland until it was shipped to New York and reconstructed. New York townhomes are known for their historical value as well as their astronomical real estate value, though a select few have some hidden function for the city’s infrastructure. Number 58 Joralemon Street is one such house. Originally built as a private residence in 1847, the house was bought by the MTA in 1908. 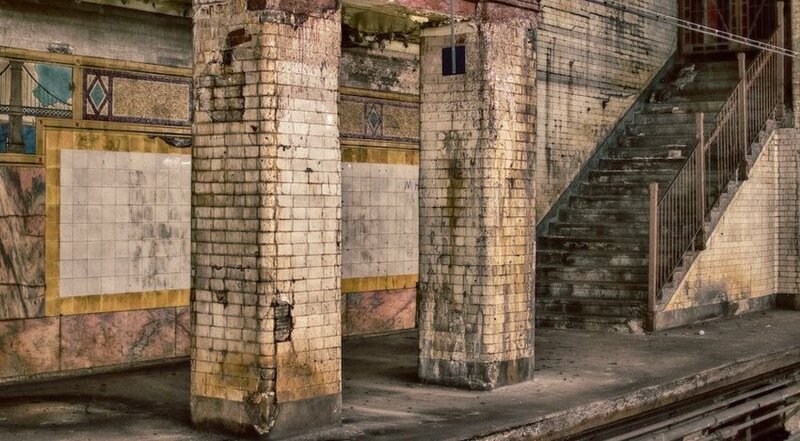 It was gutted and turned into a ventilation outlet for the subway system. On top of that, the MTA didn’t bother to gussy the place up at all. They stuck ugly steel vents on the outside of the building and called it a day. 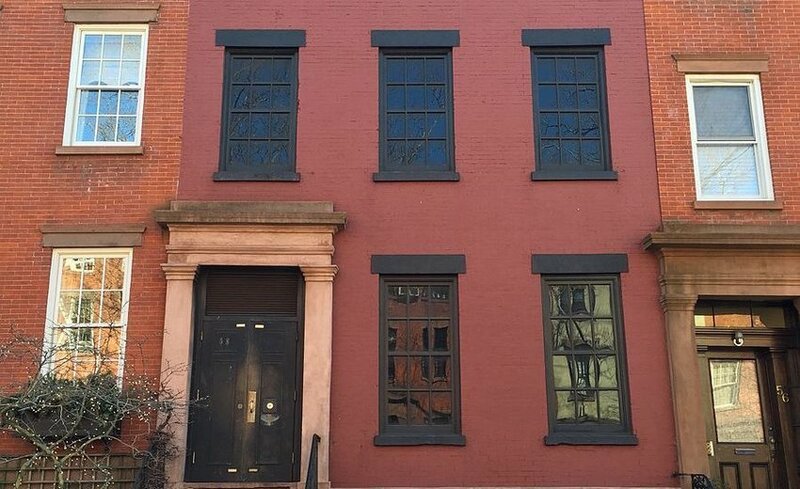 It looked like that for nearly a hundred years until 1999, when the MTA finally restored the historic facade of the house. 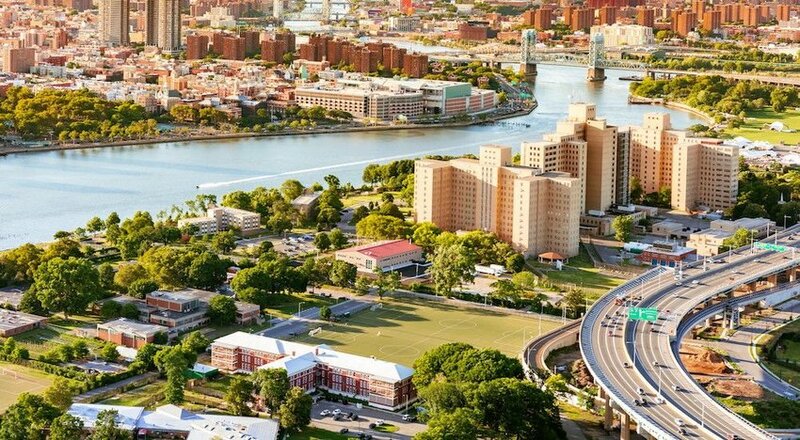 The borough of Queens recently had a very public fight with Amazon over the proposed Long Island City campus, a fight that saw the massive corporation lose to the intense pride Queens residents have in their neighborhoods. It’s not a baseless pride either. Ethnic diversity in Queens is so off the charts, they had to draw new charts just for Queens. 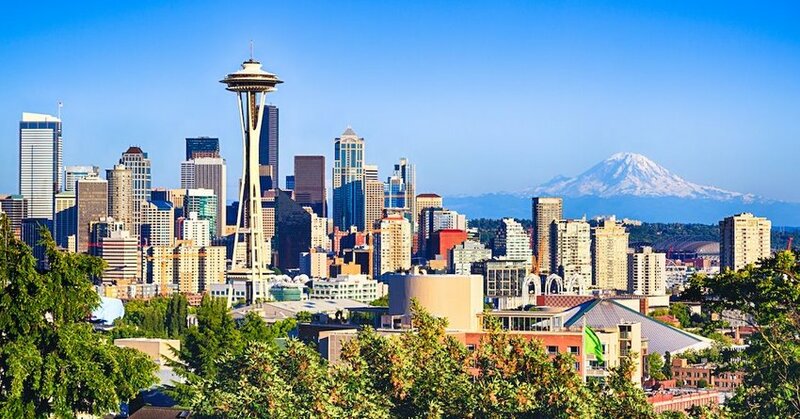 Residents come from nearly 200 countries, which is five more than officially recognized as separate countries. 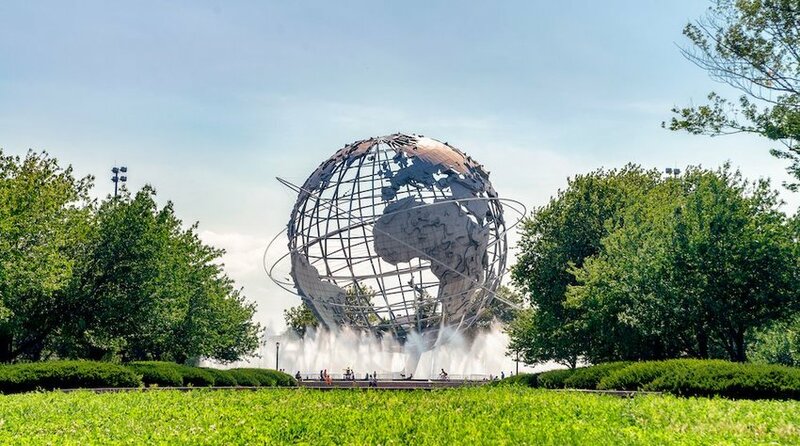 It’s not inconceivable that, in Queens, you’ll come in direct contact with more international cultures than you knew existed, no matter how much of a world traveler you are. In fact, people really serious about experiencing as much of the world as possible might as well rent an apartment in Queens and get walking. With that insane level of ethnic diversity come languages. More languages than anywhere else in the world. There are so many languages spoken all over the borough that you can’t even use the language atlas of New York (which appears in Nonstop Metropolis: A New York City Atlas) as a reliable indicator of where you can find ethnic populations in the boroughs. There are so many languages in Queens that some of them are technically dying. Vlashki, an Indo is spoken more in Queens than in its Croatian homeland and Husni Husain, an Indonesian immigrant from West Sulawesi, has to call home to speak Mamuju. 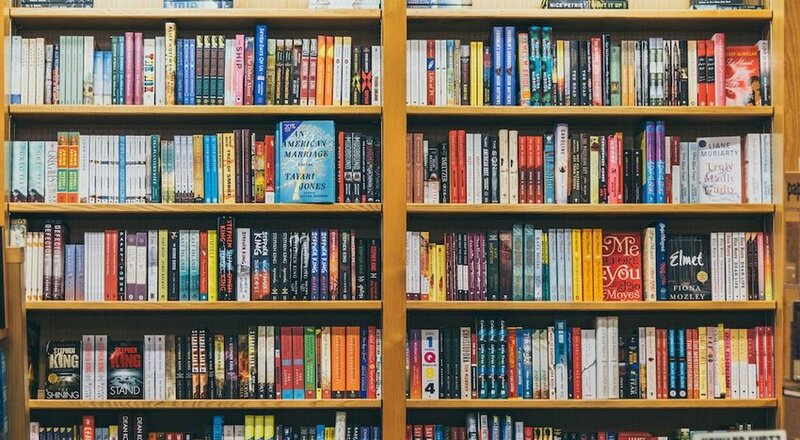 The Endangered Language Alliance is canvassing Queens for dozens of Native American languages, Bukhari, indigenous Mexican languages, Irish Gaelic and Ormuri, among hundreds of others. Like we said, you don’t have to leave Queens to experience the world. Let’s bring the atmosphere down for a really morbid fact. In the 19th century, the city bought what would be renamed Randall’s and Ward’s Islands and turned them into dumping grounds for the living and the dead, though sometimes the dead outnumbered the living. The two islands held an orphanage, almshouse, potters field (common grave for the poor), numerous asylums, a children’s hospital, immigration station, rest home for Civil War veterans and the House of Refuge, a notorious reform school. People were dying the whole time and their numbers were augmented by the relocation of common graves, containing roughly 100,000 bodies, from Madison Square and Bryant Parks. Now Randall’s Island has the Electric Zoo. New York City has a few buildings named after companies or people who no longer inhabit them. Chrysler isn’t in the Chrysler Building anymore, no modern Rockefellers are powerful enough to command Rockefeller Center, and has anyone even seen a Woolworths lately? 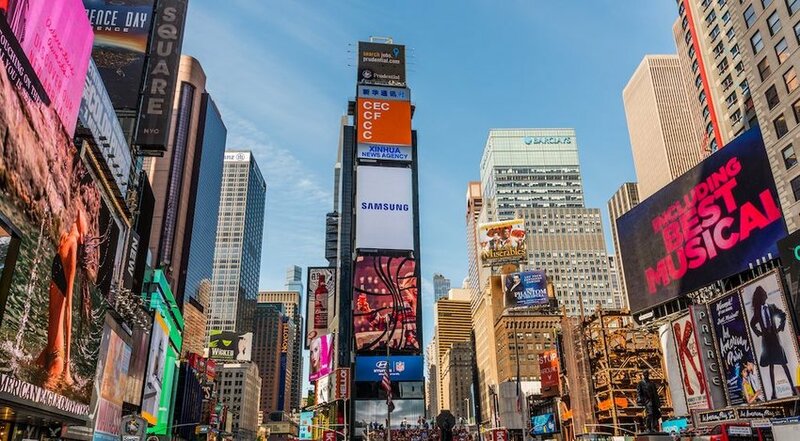 Times Square is in the same boat, originally named for The New York Times. One Times Square was supposed to be the new headquarters for the venerable newspaper. But the Times owned the building for less than a decade and turned tail almost as soon as Midtown Manhattan started to go unsavory. The building briefly hosted a speakeasy during Prohibition and an FBI pistol training range and German spy catching operation, but neither prevented the building’s decay. Lehman Brothers bought the building in 1995 and Jamestown Properties bought it in 1997, with both owners working to turn the location into little more than an enormous billboard. Today, Walgreens rents out the three bottom floors and the One Times Square Production Management Team has a few of the top, but there aren’t any other tenants. It’s a shame, because the building underneath all the advertising is attractive. It has a quintessentially New York look to it, by which we mean it resembles the Flatiron Building, one of New York’s most iconic. 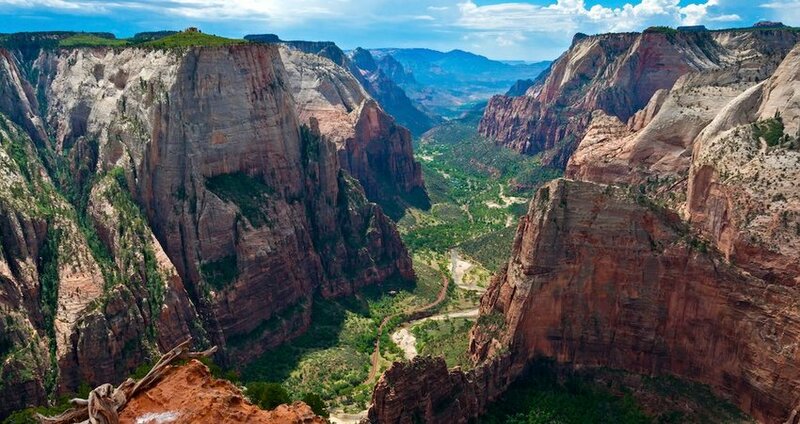 Without the ads, the place might actually be worth visiting.